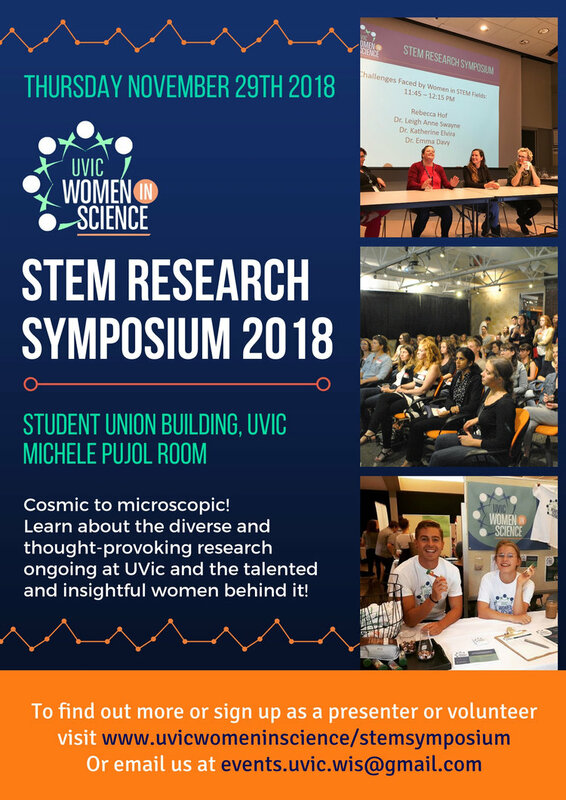 On Thursday, November 29, 2018 in the Student Union Building (SUB) at UVic - Michele Pujol Room, come present, learn and share in the work of extraordinary scientists who identify as women in our community! Registration for poster and oral presentations is now open. For poster presenters, if you register and send in your poster PDF before November 15th, printing is free! Find the registration form here!